This is an interview with Paul Altieri. Paul is the founder and owner of Bob’s Watches, the world’s first and only pre-owned online marketplace for used Rolex watches. He’s one of the leading Rolex experts in the world, from vintage to modern, and a passionate watch collector himself. Rolex Submariner 16610 with a faded Blue Gray bezel from 1997. How did your love for watches come to be? When I was a teenager, I used to caddy at a private golf country club near my house. A lot of the guys there were very successful and some of the cooler guys wore a Rolex watch. So, owning a Rolex watch became an aspirational goal of mine from early on in life. You’re the CEO of Bob’s Watches and a passionate Rolex collector. What makes Rolex stand out? Well first off, I like all timepieces. But Rolex has always been my favorite for a number of reasons. Style, craftsmanship, and the “coolness” factor all come into play. And the fact that the company has stood the test of time and still reigns as one of the most notable brands in the world is simply inspiring. What is the watch you wear the most? My Vintage Rolex Daytona “Big Red” 6263 with a silver dial. What is your all-time watch top 3? What do you think is the reason behind the success of Bob’s watches? Honesty, trust, transparency, and marketing. We were the first company in the industry to show both the buy and sell prices to the public, allowing them to take their time and do their research on the value that we bring to the table. If you check out Bob’s Watches reviews on our website, you’ll find we have a 5-star rating from over 600 verified transactions. We also took our marketing very seriously early on, earning us key visibility in Google organic search. Since then, we’ve expanded into all channels, ensuring we continue to never rest on our laurels. Do you have any dreams or goals for Bob’s Watches? What are they? Our primary focus at this point in time is improving the user experience for users on bobswatches.com, regardless of the device they’re using. We want to make it as effortless as possible for people to get a quote for selling their watch, as well as finding the exact type of watch they want. We’re also looking to expand more aggressively internationally in the near future. I think the modern watch market is alive and well, although I still believe there are too many brands chasing a limited number of wrists. The Apple watch has had zero impact on our world. I also believe that the brands will sooner or later need to address this thing called “the Internet.” It’s not a fad, so it’s not going away anytime soon. It will be interesting to see how they each tackle this issue. 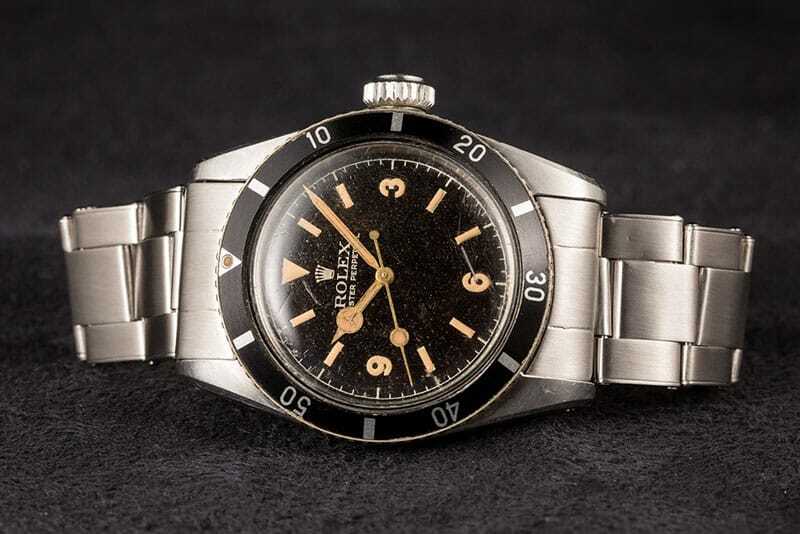 The vintage watch market, especially Rolex, is on fire with valuations soaring along with popularity. Some of it is being fueled by the impact of social media, Instagram in particular. We have nearly 100K followers on the Bob’s Watches Instagram account, and many of them are vintage collectors. The vintage Rolex Submariner 6200 is the ultimate grail watch to have, IMHO. If you could start over, is there anything you’d do differently? No. Not really. Although maybe we would come up with a cooler name for the company like, “Cool Watches, Ltd”. Just kidding. Your #1 tip to a beginner collector. Stick with Rolex and find a model you’re in love with. Don’t worry which one is going to appreciate in value the most.